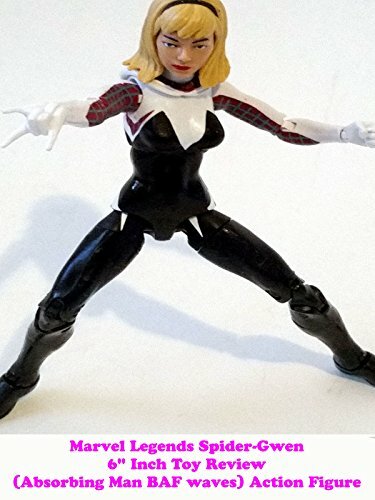 This is a Marvel Legends SPIDER-GWEN 6" inch action figure toy review. Made by Hasbro it is part of the Absorbing Man build a figure series. This is a fantastic SPIDER-GWEN action figure. It has an unmasked Gwen Stacy head. And just overall a fantastic sculpt and look to the character. SPIDER-GWEN is very popular and if you can find this figure for a good price I'd suggest buying it.